The Gross Domestic Product, also known as GDP, is arguably the most common indicator to describe a country’s economic performance (see also the world’s top 10 countries by gdp). Generally speaking it measures the total value of all goods and services produced in an economy over a set period of time (usually one year). It can be measured in nominal or real terms. There are three different approaches to calculating GDP: the value added approach, the income approach, and the expenditure approach. They should technically all lead to the same result, however due to estimation errors and minor inaccuracies that will hardly ever be the case in reality. 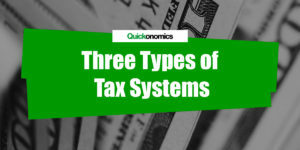 Therefore it is important to be aware of the differences between the three approaches. We will look at them in more detail below. To give an example, we shall look at an imaginary country that only has two factories (factory A and B) that produce wooden tables. Over the course of a year 1’000 tables were produced in factory A and sold at a price of $100 each. The legs required to assemble the tables were produced by factory B and sold to factory A at a price of $10 each, while the tops were imported from a different country at a price of $20 each. In this case, the value of goods sold adds up to $140’000 (1’000 x $100 + 4’000 x $10) and intermediate consumption adds up to $60’000 (1’000 x $20 + 4’000 x $10). As a result, GDP amounts to $80’000 ($140’000 – $60’000). Note that the value of the table legs is only counted once (for factory B) where it is actually added. To illustrate this, we can go back to our imaginary economy. Let’s assume the workers of the two factories earn a total of $5’000. The rent for all business facilities adds up to $10’000, and the private households earn a total of $5’000 worth of interest payments for lending their money to factories A and B. After paying these expenses, the factories still earn a total profit of $50’000. In this case national income is $70’000 ($5’000 + $10’000 + $5’000 + $50’000). By adding indirect business taxes of $5’000 and depreciation of $5’000, GDP also amounts to $80’000 ($70’000 + $5’000 + $5’000). Let’s revisit our imaginary country again. We assume that private consumption amounts to $50’000. Total investment shall be $30’000, and the government spends $20’000. Last but not least, net exports are -$20’000, because factory A imports intermediate goods worth $20’000 and there are no exports (0 – $20’000). Thus, Once again GDP amounts to $80’000 ($50’000 + $30’000 + $20’000 – $20’000). Calculating GDP according to one of the three approaches described above will result in a nominal value. That means it is calculated in historical monetary terms without any further adjustments. At this point it is important to note that comparing annual nominal GDPs can be problematic and lead to false conclusions due to changes in the overall price level (i.e. 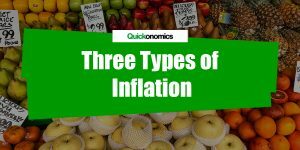 inflation) that are not taken into account. Therefore we generally use the real GDP to compare economic output over multiple years, because it is adjusted for the effects of price level changes. In other words, real GDP uses the prices of a certain base year as a reference to value economic output and thereby eliminates the effect of inflation (or deflation). To give an example, if the GDP of an economy increased from $80’000 last year to $81’600 this year, it appears as if the economic output had increased by $1’600 (2%). However, if the economy experienced an inflation of 1% over the year, the value of its output increased by $800 even if there had been no increase in actual (real) output. Thus if we adjust for the effect of inflation, real GDP (measured in the prices of the previous year) will only amount to $80’800. 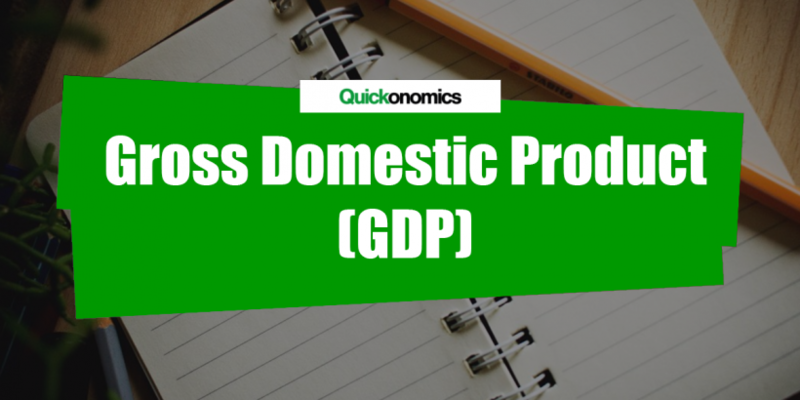 Gross Domestic Product (GDP) is an important indicator of economic performance. It measures the total value of all goods and services produced in an economy over a certain period of time. 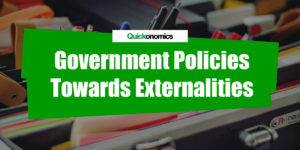 It can be calculated in three different ways: the value added approach (GDP = VOGS – IC), the income approach (GDP = W + R + i + P +IBT + D), and the expenditure approach (GDP = C + I + G + NX). If the indicator is used to compare multiple economic outputs within one year, GDP is usually calculated in nominal terms, whereas to compare annual numbers it is most commonly measured in real terms.